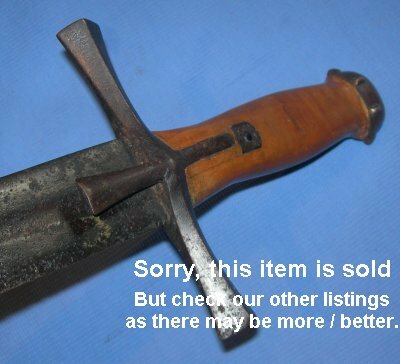 Late 19th, possibly 20th Century very unique Sudanese kaskara with older crusader style European blade. This is a very unique kaskara and I suspect one held by a very important / well connected Sudanese. 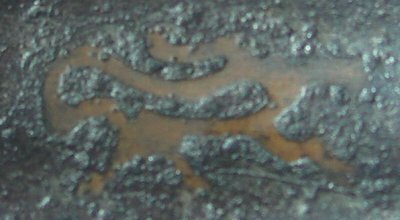 The hilt appears to be 100% period with an Abyssinian / passant lion to the pommel to match the lion engraved onto the blade. Unlike most kaskaras however, the grip is wooden, not bound, and the "binding langet" which is normally hidden by grip cloth bindings is formed in to the wooden grip, plus there is a clamped bolt securing the blade firmly to the hilt. I am pretty sure this is all period and the sword is consequently as solid as a rock, nothing like most kaskaras that is for sure. The 34 1/2 inch blade? 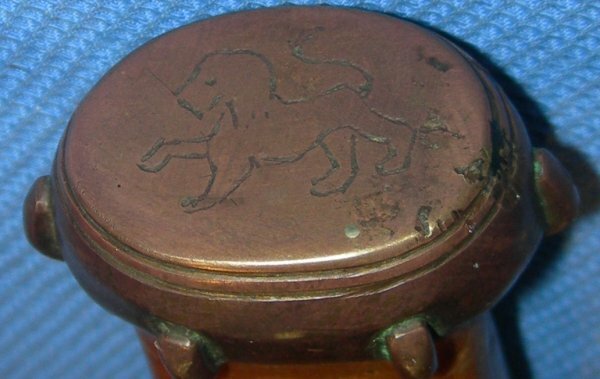 Well, it looks very old, hand forged and as if it has been through a few battles to say the least. Marked with mayflies, lion passant and European orb, the blade is clearly European. As stated, the blade is very old and battered in appearance, yet firm in the later Sudanese hilt. 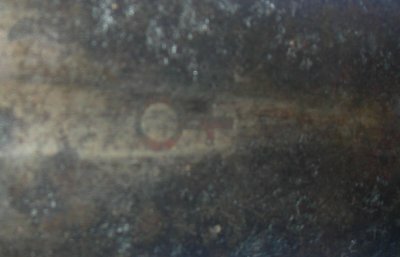 An interesting and rare sword for anyone's collection and available for only £? (too late, now sold) . Further / full sized images available upon request. My item reference number is 778 (313).